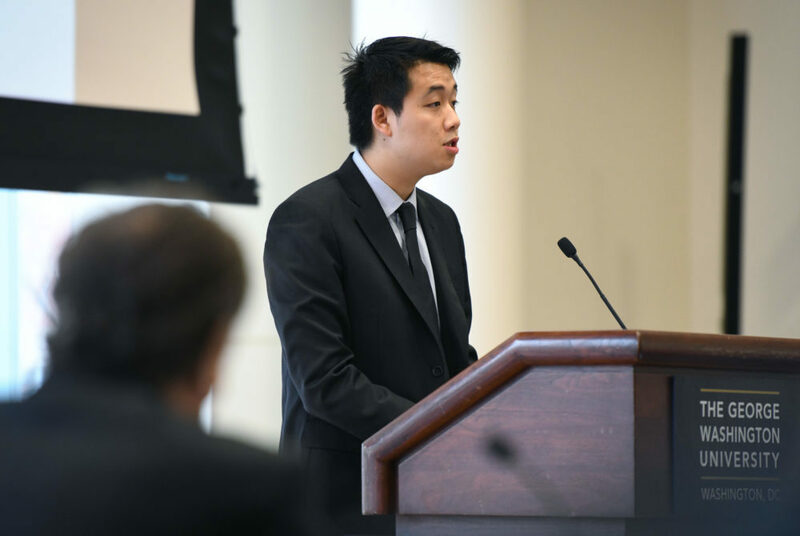 Student Association President Peak Sen Chua said the SA pushed for the switch to an opt-in system for the library fee over the last several months. Students will no longer automatically donate to GW Libraries as part of their tuition bill beginning next academic year. The Board of Trustees unanimously approved a measure Friday to operate the University’s $100 library gift on an opt-in system. The gift is currently automatically included in a student’s tuition bill each semester, with the option to uncheck the fee if a student does not want to donate. Beginning next academic year, students will be able to check a box separate from their tuition charge if they want to make the donation, according to a University release. The fee has long garnered complaints from students – many of whom said they weren’t aware of the charge – but is also one of Gelman Library’s main sources of income. The library has faced budget constraints in recent years, impacting basic library functions. University President Thomas LeBlanc said during the Board of Trustees meeting that the change came out of conversations with student leaders, who have pressed the University to make the change. Student Association President Peak Sen Chua said that while the gift was not something the body specifically pushed back against, the SA this year has championed generally for a reduction in some of the fees the University imposes upon students. “The student experience obviously involves students feeling like they’ve been nickeled and dimed throughout the entire process, and I think that we used the library fee as an example of that,” he said in an interview.